I must addmit that this is the thing I am planing to build for a long time now. 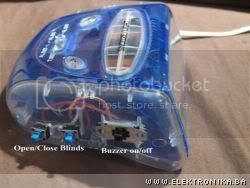 It is a device that opens your window shades when alarm clock sounds in the morning. Try sleeping after this buzz. The next step would be to remove manual control of your blinds, but, that's only for the brave ones.